On Goodiepal’s Mort Aux Vaches cd there is a hyperlink to this great Danish music maker and so I became aware of his work. The first thing I listened to was this 3” CD and I was blown away by the originality of the work. The music is synthetic folklore and can maybe be traced back to The Residents or to Ronaldo and The Loaf but has a very outstanding Scandinavian sound to it, which sometimes make me think of Alog as well. The title of the cd says it all because it is like walking in an old forest in the twilight - what they are up to in Denmark, I don’t know but it seems like an awful lot of good music is coming out of the place at the moment. 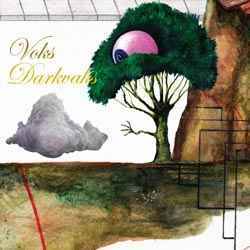 Voks is a really peculiar artist and Darkvaks is a really peculiar 3” CD. A great place to start if you would like to explore this man’s vision.